Drug related killings on the street, countries destabilised, young lives wrecked, tragic deaths. Drug addiction is the greatest threat to society. Dixon takes a hard look at the facts with some suprising conclusions & argues for urgent action. 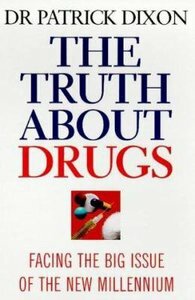 About "The Truth About Drugs"
Dr Patrick Dixon is a medical doctor who became interested in the future through his pioneering AIDS and HIV work. He is now on the international lecture circuit and is the Director of Global Change Ltd which gathers data about the future and provides briefings for executives. In 1996 he was involved with breaking the 'Dolly the Sheep' story and frequently appears on TV and radio.